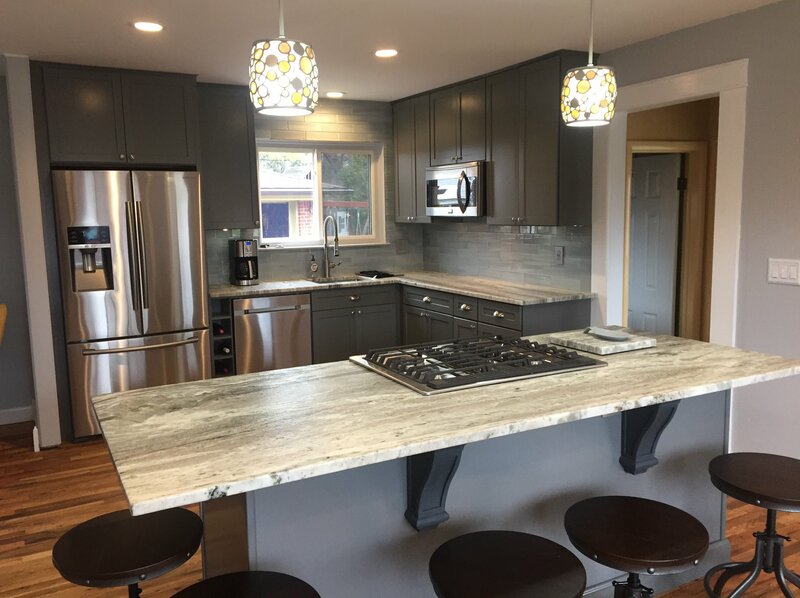 QStone, Inc. located in Madison Heights, Michigan – with over 18 years experience, provides professional Granite, Marble and Quartz Kitchen Countertops fabrication and installation in Michigan. Please call (248) 760-6161 for more information or to get a FREE ESTIMATE today! 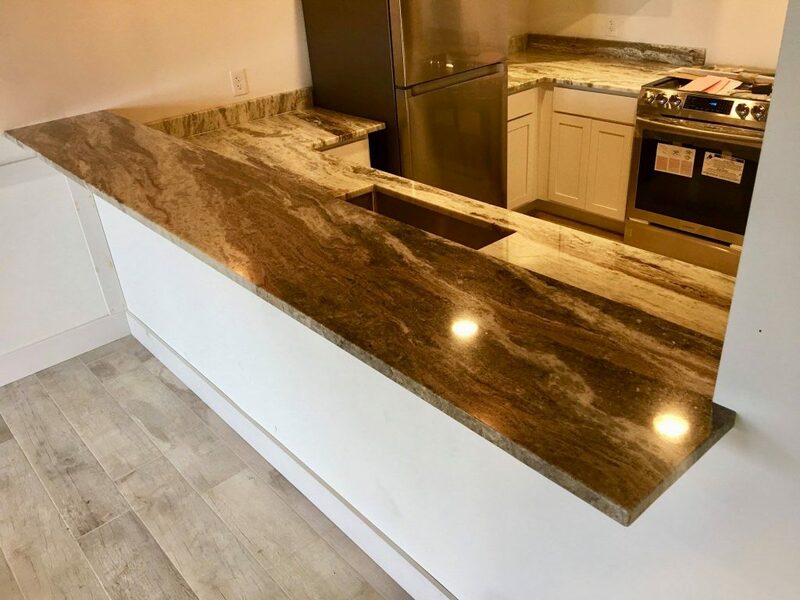 If you are in need of a top rated Troy MI Granite Countertop Service, please contact Q Stone, Inc at (248) 760-6161 today! You may also click here to learn more about us. Walk in any modern kitchen and the number one sought after item is a granite countertop. This is true whether it is in a residential home or apartment, a break room in a retail store or inside a doctor’s office, or in any number of suites and other luxury-style rooms found in upscale hotels from coast to coast across the nation. Your home will be a more welcoming space for both family members and invited guests when your kitchen remodel includes new granite countertops. In fact, granite countertops can take the kitchen in your family’s home from boring to fun without losing any of the original functionality of the room. In fact, new granite counters can make it even more functional than it was before. Granite counters add value to your kitchen. Granite brings the outdoors in, and any time you can add outside elements to the inside of your home, especially something as eco-friendly as granite, then you add to the value of your home. Although it may not add to the monetary amount of the home’s resale value, it will add appeal to interested buyers if you should ever put your family’s home on the market. Granite countertops are durable. In fact, you would be hard pressed to find a more durable stone-based countertop than granite. It is super tough, which means you would have a hard time scratching or chipping the surface of the stone. A sealer on the stone, applied by a professional for best results, can extend the life of the counter and help it resist stains as well. Granite is an earth friendly material. It also retains its natural look. Think about the difference between a plain old rock and one that has been tumbled and polished to retain a high sheen that enhances the natural pattern of the material. The same basic principle applies to your kitchen granite counters, allowing countertops to come in basic, marbled, or speckled patterns. Granite resists bacteria and dirt. Because the surface of the sealed granite countertop is not porous, meaning things will not soak into it, your kitchen is less likely to be plagued by dirt, bacteria, and other grime commonly found on countertops and in kitchens. The smooth, sealed surface also allows you to clean up messes from kitchen prep and spills easier. Granite is easy to fix in the event that it does scratch or chip. For example, imagine that a cast iron pot comes crashing down on your granite countertop and leaves an unsightly chip in the stone. The professional who installed the countertop in the first place can come out and use a kind of putty dyed to match the exact color of your countertop, then reseal the stone to protect it from spills. Granite is a family friendly kitchen countertop material. If you have little ones who like to help in the kitchen but our prone to spilling, or older family members who may do things like set a hot pan directly on the surface of the countertop, granite can take the abuse. And if the family cat has a habit of jumping on counters, then his claws will probably not scratch the surface, either. For expert Troy MI Granite Countertop Service, please call Q Stone, Inc at (248) 760-6161. Q Stone, Inc. provides experienced installation of Granite Countertops in Rochester Hills, MI and surrounding areas. If you would like a free estimate on new granite countertops in Rochester Hills, MI, please call (248) 760-6161. The kitchen is a busy place, where families gather to enjoy a meal, prepare cocktails for guests, or slip aside for a quiet conversation during a dinner party. The design of the kitchen should take special consideration because of the amount of action the room will see. Putting in new countertops, or redesigning the entire surface and cabinet area, can help maximize the overall use of this precious space. Also, if you are thinking about selling your home, it is important to show your home in the most attractive light. Instead of dropping the price to match the market for similar homes in your area, consider investing in revamping your kitchen. The kitchen is the epicenter of hospitality and should have an open, airy feel, and a clean, durable facade to its design. One way to upgrade and add value to your home is by installing granite countertops in the kitchen. What makes granite so desirable is the blend of aesthetic appeal with long-lasting durability. Granite is an ultra durable stone that is forged deep in the earth’s center. The colors and marbling that appear in the granite’s surface are naturally occurring. Though no two pieces exactly match up, similarity in colors are common enough to place slab orders. If cared for properly with a sealant, it will not scratch and is heat resistant. It will last for as long as your house is standing. But it’s not just the integrity of the stone that has long-lasting appeal, granite is a classic finish to any room. Its natural patterns and colors have been enjoyed for decades and is almost guaranteed to never go out of style. Further, because of the variations of color in every slab, it can be matched to current or future redecorating plans. Granite countertops are desirable enough as a decorative device and kitchen design aspect that having them in your kitchen will put your home in the forefront of the real estate market. Granite will also increase the value of your home. On average, granite countertops will add 25% of its cost to your overall home value. Couple this with the cost saving fact that you almost never have to replace the surface, and it becomes a clear economic advantage. Having granite in your home also appeals to the resale ability of your home. If a similar house in your neighborhood is also for sale, you can bet the home with the granite countertops will sell first. Granite countertops are viewed by the real estate buyer as a premium amenity and is considered a highly sought after kitchen investment. Instead of lowering the price of your home, instead raise its value. Q Stone, Inc. specializes in granite countertop installation in Rochester Hills, MI and surrounding areas. Please call the Rochester Hills Granite Countertop experts at (248) 760-6161today for a free estimate. If you are in need of Bloomfield Hills Countertop Installation service, please contact Q Stone, Inc at (248) 760-6161 for a free estimate. Click here to Follow Us on Facebook or read more about us. 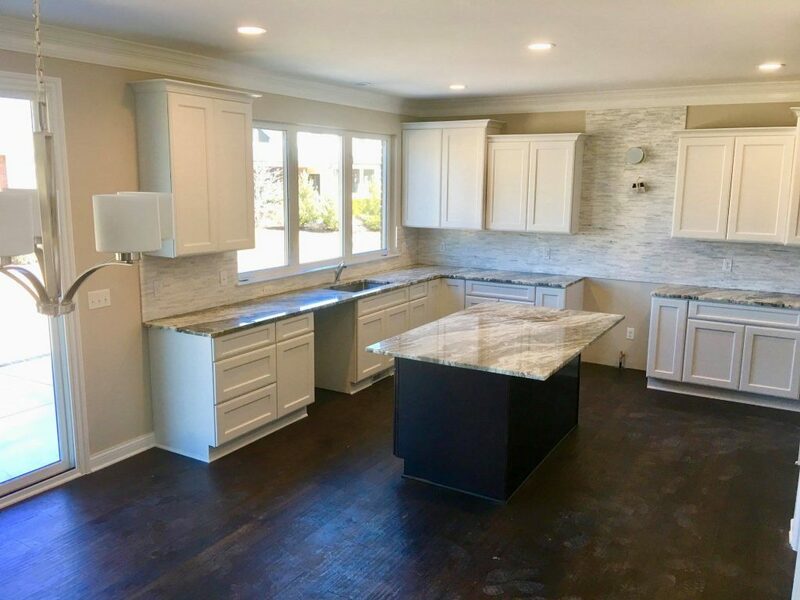 Bloomfield Hills Quartz Countertop Installation – Q Stone, Inc.
Everyone wants to give their home a premium look but it is neither easy nor cost effective to do so. Thankfully, there are many options available to renovate your home. This article will shed some light on advantages of one of them which is the benefits of quartz countertops. If you are interested to know the advantages of quartz countertops, continue reading. Although, a relatively new entrant in this category but has managed to find a loyal following thanks to its good qualities. They are both style and substance at the same time, which means that your kitchen will not only look good but will also last for a long time. What gives quartz countertops an edge over their natural stone counterpart is that they do not contain the weaknesses that countertops made with natural stones possess. Let’s come directly to the main theme of this article without wasting lot of time. The most important question that may arise in many of your minds will be why go for quartz countertops? There are many advantages of quartz that makes it a great option for your countertops. First and foremost, it is very attractive to look at and will catch anyone’s attention. The wide range of colors that you can choose from is an added bonus, which is not the case with natural stones. You will not find uneven or rough surface when going for quartz countertop because it is manufactured and finished product. The process quartz has to pass through makes it smooth and there are no flaws in finishing. When it comes to durability, quartz can stand in the same league as concrete and granite. It won’t break and cracks won’t show up that easy. It might not have the same hardness when you touch it but there are not far behind many of the natural stones when it comes to strength and durability. Additionally, it can resist staining to a certain extent thanks to its non porous nature. Unlike other natural stones such as granite and marble, which are porous, quartz can perform much better in this department thanks to its non porous nature. Furthermore, it is one of the best when it comes to liquid resistance capabilities, which makes it an ideal choice to be used in your kitchen. Whether it is oil, juice, tomato, wine or anything else, quartz can withstand all that without any problem. If that was not enough to convince you that quartz are a better option than any of the other options for kitchen countertops, then this one might will do. Due to its non porous nature, quartz countertops can provide much better protection against bacteria and viruses as compared to natural stones, in which bacteria and viruses can reside in their pores. As a result, your quartz kitchen countertop remains clean for longer hence, you will not have to clean it again and again. For an experienced Bloomfield Hills Countertop Installation service, please call Q Stone, Inc at (248) 760-6161 for a free quote. 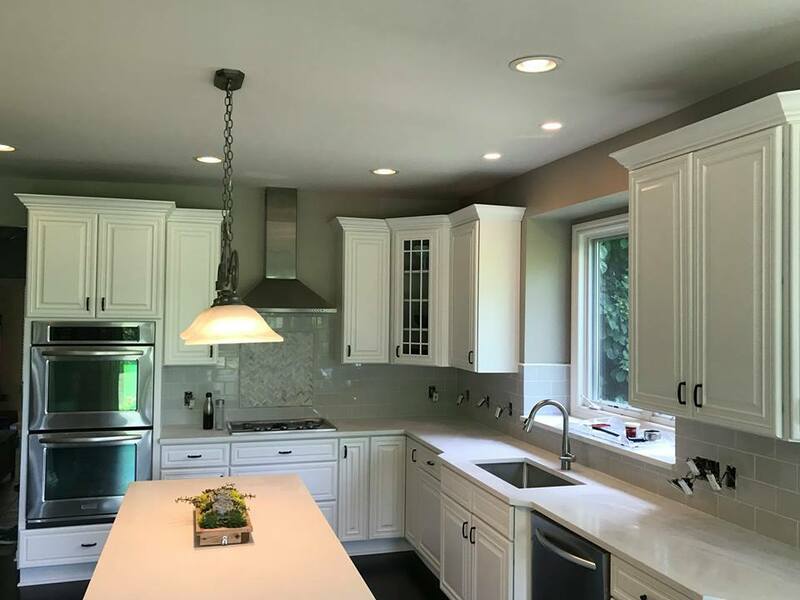 If you are in need of top rated Rochester Hills Quartz Countertop Installers, please contact Q Stone, Inc at (248) 760-6161 for a free estimate. Click here to see our Houzz Service award or learn more about us here. Rochester Hills Quartz Countertop Installers – Q Stone, Inc. If you’re looking for kitchen or bathroom countertops that are durable and nice to look at, look into quartz countertops. Often referred to as Engineered Quartz, this style of countertop is a practical alternative to natural stones like granite and marble. Granite and marble are not only costly but also, they require ongoing maintenance and are susceptible to cracking, chips and other imperfections. In short, they are not ideal materials for a house in which small children live. Quartz, on the other hand, is. Engineered quartz is composed mostly of stone, but mixed in with the stone aggregates is a polyester resin. The mixture is pressed into slabs and put through an intense vibration/vacuum/pressure process. Once the process is complete, out pops a dense, non-porous, ready-to-go product. Unlike natural stones, it doesn’t need to be sealed, as the polyester resin efficiently seals it off from the inside out. Quartz countertops come in a variety of colors and styles. If you want to create a cohesive style throughout your home but don’t want to stick with the same color and pattern in every room, shop quartz. The look and feel are the same, yet you can change it up a bit throughout the bathrooms and kitchen by using earth-toned quartz in one room and bright white in another. While different patterns are available, quartz is designed to be consistent throughout its appearance, allowing for a more controlled blend of texture and color that you cannot get with more natural stones. For experienced Rochester Hills Quartz Countertop Installers, please call Q Stone, Inc at (248) 760-6161 for a free quote! If you are searching for trusted Oakland County Quartz Countertop Experts, please contact Q Stone, Inc at (248) 760-6161 for a free estimate. Click here to learn about us or read our excellent reviews on Houzz! 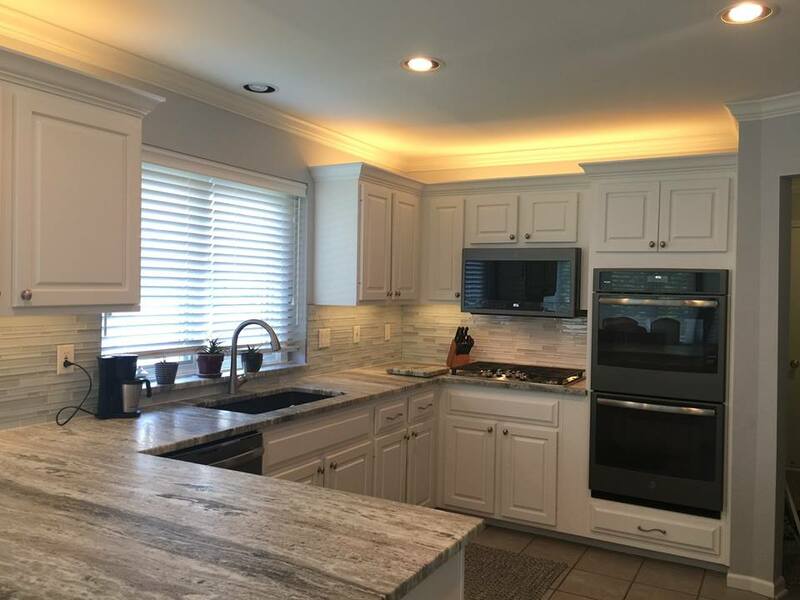 Oakland County Quartz Countertop Experts – Q Stone, Inc.
For top rated Oakland County Quartz Countertop Experts, please call Q Stone, Inc at (248) 760-6161 for a free consultation. 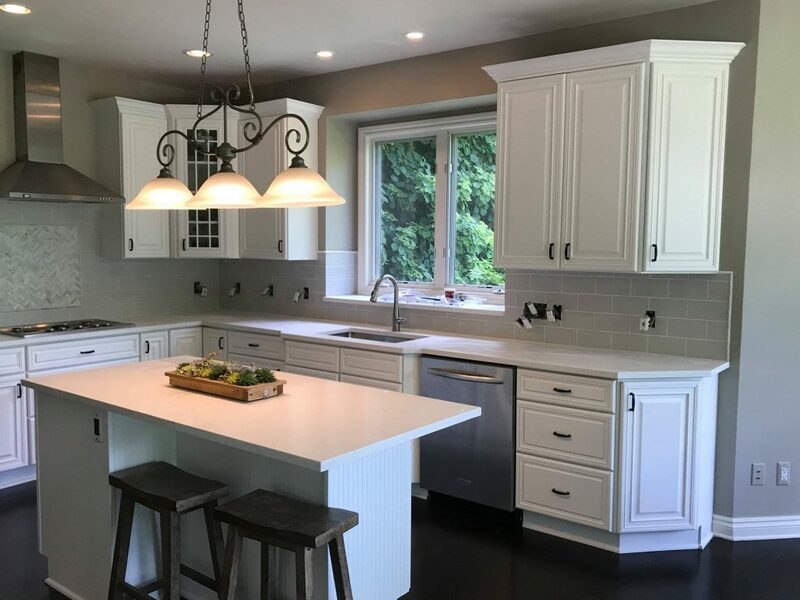 If you are in need of top rated Bloomfield Hills Quartz Countertop Installers, please contact Q Stone, Inc at (248) 760-6161 for a free estimate. Click here to learn more about us or Follow Us on Facebook. 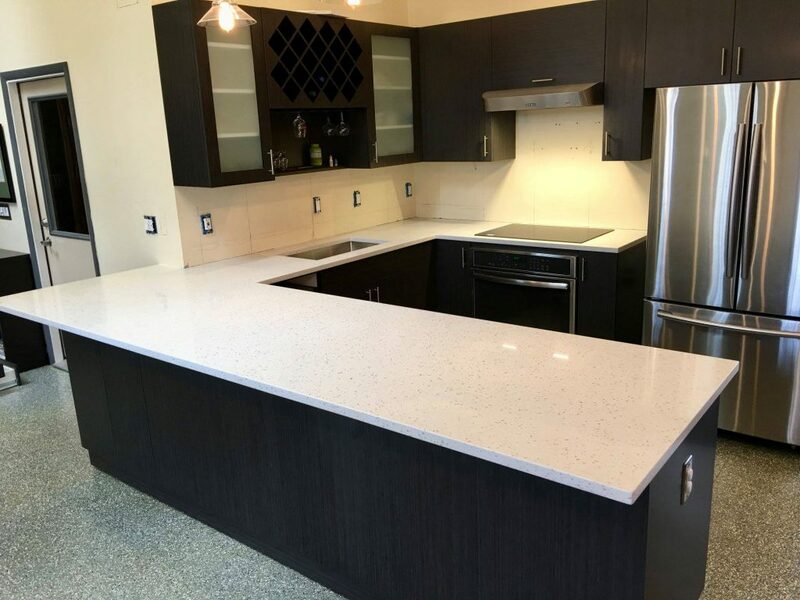 Bloomfield Hills Quartz Countertop Installers – Q Stone, Inc.
Quartz is a crystalline form of silicone diode and second most common mineral found on this planet. It is found typically in igneous, metamorphic, and sedimentary rocks, colored by impurities found within it, such as in amethyst, citrine, and cairngorm. Quartz is both plentiful and durable, used in production in diverse ways from electronics to building materials. Quartz is found all over the world but, Arkansas and Brazil are two places with the largest natural quartz mines. The largest natural quartz crystal was found in Brazil and weighed 44 tons. Mountain tops, beaches, rivers and deserts contain high quantities of quartz on their surfaces. Even though quartz is a widely occurring mineral, pure, high quality quartz crystals are rarely found. The Spruce Pine Gem Mine in North Carolina is one of the few locations where you can find highly pure quartz mined. India also has huge quantities of clear quartz deposits. Quartz is extensively used in glassmaking and also an essential ingredient in fiberglass. Due to its hardness, quartz makes an excellent option as an abrasive and is used in sandblasting and sandpaper production. It is widely used as a filler in paint and rubber substances as well as for traction purposes in the railroad industry. Many electronics such as watches, televisions and cellphones contain quartz. This mineral is the most varied of any other mineral as it comes in a variety of colors and forms, making it one of the most useful natural substances. They can be made in a variety of colors from bright red to lime green, as well as a popular brown, black and cream neutral colors. Quartz is less likely to crack or chip in compared to granite or marble since it is stronger. It is a non-porous material so it will not harbor bacteria in tiny cracks like other countertop materials. It is resistant to stains so oil, juice, wine, tomato, coffee and more have no effect on the color. The primary ingredient in this type of countertops 93% ground quartz, which is combined with polyester resins to bind it together. Pigments are added to give it color. Quartz is an attractive look in kitchens and some designs even incorporate small amounts of recycled glass or metallic flecks into it. Due to the durability and special type of resins mixed within the quartz during production, quartz countertops are resistant to stains. They are a nonporous surface, which means staining substances do not settle in small pores, causing discoloration. Quartz is among the most durable counter surfaces you can purchase, and they are scratch resistant under normal usage. It is not indestructible, as any surface can be damaged with extreme abuse, however quartz is durable and withstands well in normal usage. To keep its shine and luster, a cutting board is recommended when using knives. Quartz is a low maintenance countertop, unlike granite which typically requires a new protective top coat at least once a year. These surfaces never need to be sealed, unlike some natural stone options. No. Quartz countertops are nonporous, thus bacteria and other substances cannot get into the surface. Quartz is better at resisting heat in comparison to laminate surfaces like Formica, but when compared to granite or other stone countertops, quartz is not as heat resistant and care should be used. The resin component of the Quartz surfaces makes it vulnerable to direct heat like placing hot pans directly from the oven etc. Trivets and hot pads should be used for hot pans or hot hair tools in the bathroom to keep quartz looking its best. In comparison to other high end countertop materials such as granite, slate and marble, quartz is very comparable. We recommend using cleaning products with a pH between 5-8, as products outside this range may damage the surface. Cleaning products such as oven grill cleaners, floor strippers, toilet bowl cleaners, oil soaps, tarnish removers, furniture cleaners, drain products, etc. could be damaging to your countertop. If your surface accidentally is exposed to any of these potentially damaging products, rinse with water immediately. Similar to granite, quartz slabs also come in certain maximum sizes. The jumbo sized slabs are usually 125” x 65”. If countertops are longer than these sizes, they need to be seamed. It is similar to granite in this aspect. We try and make this seam as inconspicuous as possible. For experienced Bloomfield Hills Quartz Countertop Installers, please call Q Stone, Inc at (248) 760-6161 for a free quote. 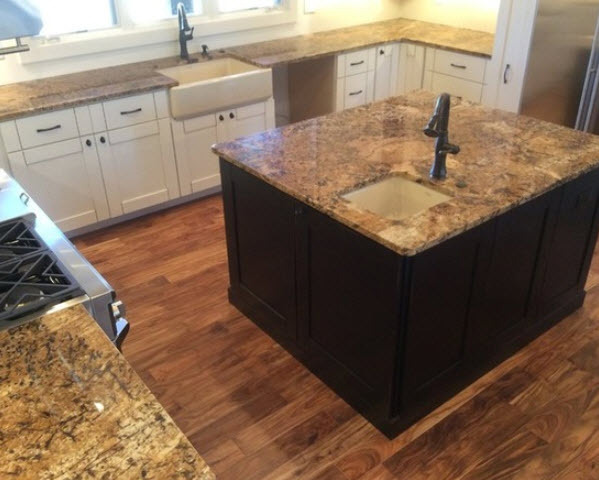 If you are in need of a top rated Oakland County Quartz Countertop Service, please contact Q Stone, Inc at (248) 760-6161 for a free estimate. Click here to learn more about us or read our excellent reviews on Houzz. Nowadays, the choice of beautiful, practical, and cost-effective solutions for your kitchen design is so diverse and bewildering that you may find it rather difficult to decide on the most advantageous option for your home. It’s the countertops that have the greatest impact on the overall look and feel of your kitchen, so choosing a countertop design and material that will perfectly suit the rest of your home’s interior style, as well as your needs and aesthetic preferences, is of paramount importance for the convenience and the appeal of your surroundings. You can take your pick from decorative laminates, concrete surfaces, butcher blocks, ceramic tiles, and many other traditional or innovative materials. Solid surfaces and natural stones have been long considered the standard for stylish and classy kitchen designs. Quartz, however, is rapidly gaining popularity as a high-end countertop material, praised for its low maintenance, high durability, and endless color choices. Whether you are setting up a new home or planning a kitchen remodel, quartz countertops are definitely worth considering. Flexibility in terms of finishes and edge profiles – quartz countertops allow for a variety of edging options and finishes. Whether you prefer a polished surface or the satin look of a honed finish, etc., the appearance of the finished engineered quartz countertop will be rich and elegant, adding unique charm to the ambience. Besides, quartz is easy to work with and offers various designer possibilities to perfectly match your interior visions. Quartz is a very hard material, largely composed of minerals. It ranks 7th on the Mohs scale of mineral hardness which accounts for the extreme durability of quartz kitchen countertops. They are scratch resistant and less vulnerable to chipping and cracking than most natural stones. Short exposure to heat won’t damage the surface either as quartz is scorch-resistant. Excessive heat, however, may cause cracking to occur due to the rapid temperature change, so you are recommended to use hot pads or trivets under pots, pans, or griddles. Also, have in mind that quartz is not entirely scratch proof – a careless slip of the knife will cause no damage but extreme weight and/or force may ruin your quartz countertop. Quartz is stronger than most natural stones, resists staining and corrosion, and shows little signs of wear and tear, so it makes for a good work surface suitable for heavy everyday use. No need for resealing – quartz counters will not stain from common kitchen spills, such as coffee, tea, wine, or fruit juice, as the non-porous material won’t absorb liquids. This means that quartz does not require periodic resealing of the surface or other routine maintenance procedures to preserve its beauty and functionality. Granite and marble countertops, on the other hand must be sealed regularly to prevent staining and bacteria growth. For an experienced Oakland County Quartz Countertop Service, please call Q Stone, Inc at (248) 760-6161 for a free quote. If you are in need of Bloomfield Hills Quartz Countertop Service, please contact Q Stone, Inc at (248) 760-6161 for a free estimate. Click here to learn more about us or Follow Us on Facebook. Great Looks: For many buyers, the chief benefit of the quartz countertop is its natural luster. Unlike laminate, quartz has a deep, almost three-dimensional appearance, much like natural stone. Hardness: Quartz is extremely hard and makes for a good work surface. It is largely composed of minerals (contrasted with solid surface counters which are about 33% inorganic binding resins and 66% organic minerals). Laminate in no way rivals quartz in this area, because of laminate’s wood base layer, which gives it a hollow feeling. For a top rated Bloomfield Hills Quartz Countertop Service, please call Q Stone, Inc at (248) 760-6161 for a free quote. If you are in need of Rochester MI Quartz Countertops, please contact Q Stone, Inc at (248) 760-6161 for a free estimate. You may also click here to learn more about us or Follow Us on Facebook. Quartz is a non-porous material, which means you don’t have to worry about stains seeping through the surface of your new kitchen countertops. If you spill on your quartz countertops, simply blot away the stain with a damp washcloth and dry with a towel. You also don’t have to worry about whether someone is using a coaster. The condensation drips won’t cause water stains on quartz countertops. You don’t have to worry about water stains like you do with marble countertops. For this reason, quartz countertops are perfect for kitchens and bathrooms where you can expect water drips around the sinks or the occasional spill. Quartz is a durable countertop material that’s kid-proof and life-proof. To maintain the shine of your kitchen and bathroom quartz countertops, simply wipe down with a soapy washcloth. You have a busy life, why spend more time than you have to on countertop maintenance? Since quartz is manufactured, you are able to choose from a wide range of quartz countertop colors from apple green to smoky gray. Natural stone countertops can’t offer the same range of colors as quartz. Quartz even allows you to choose designs that mimic the look of more expensive materials, like marble. While quartz is versatile enough to fit into any kitchen’s interior design, some people may be bothered by the seams that are sometimes noticeable on quartz countertops. Quartz is non-porous, which means bacteria and viruses have fewer places to hide in your kitchen. One of the benefits of quartz countertops is that they’re not covered in microscopic holes that harbor bacteria. Quartz countertops will keep your kitchen clean and sanitary. Since odor-causing bacteria can’t hide in the surface of your countertop, this also cuts down on smell. For Rochester MI Quartz Countertops, please call Q Stone, Inc at (248) 760-6161 for a free quote. 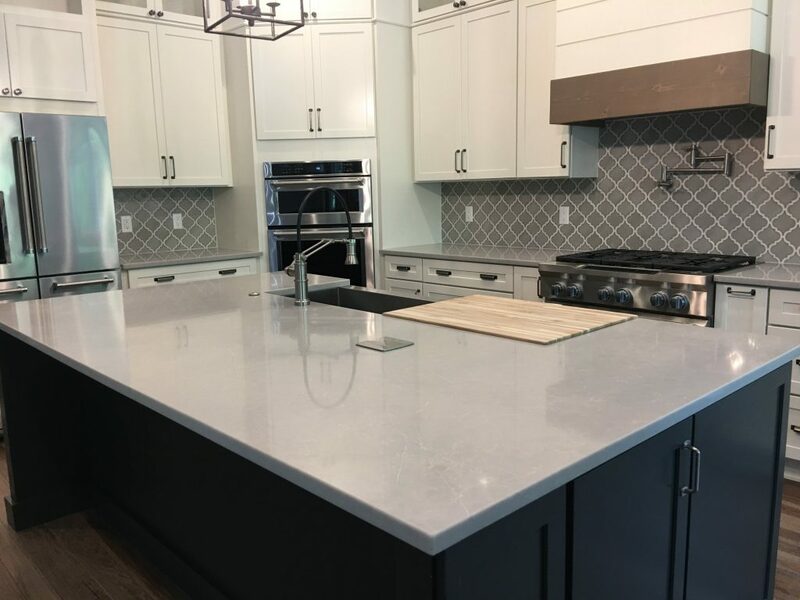 If you are in need of Birmingham MI Quartz Countertops, please contact Q Stone, Inc at (248) 760-6161 for a free estimate. You may also click here to learn more about us or Follow Us on Facebook. For Birmingham MI Quartz Countertops, please call Q Stone, Inc at (248) 760-6161 for a free quote.